On February 27, 2016 my Father had passed away. On Friday the 19th he had a massive heart attack, that following Monday he would have coronary artery bypass surgery. At first the Doctor told me that they would have to quadruple bypass, then after looking at things it went down to two… Monday the day of the surgery the Doctor informed that my Dad need to have a quintuple bypass.. Five… Five of his arteries need to be replaced, bypass of more than four coronary arteries is uncommon. Rather worried that this point, The Doctor told me that the surgery went fine and is still out of it. Now please keep in mind I’m in Oregon at this point and my Father is in California. So I’m talking to the Doctor over the phone and getting updates that way. Come Tuesday I was able to talk with him and get more information. Everything seemed to be going fine and my Dad was in a great mood (All tho I think it was mostly do to the drugs haha). I was able to tell him about meeting Shatner and replacing the lost autograph that my Dad gave me a few years back. Told him about the conversation I had with Shatner (I wrote about this in another post https://nerdylifeofmine.com/2016/02/22/a-small-conversation-with-william-shatner-bob-camp-at-wizard-world/). He was so beyond happy to hear about that. Over the next couple of days I would call in and see how is was doing. He told me that some of old childhood friends came in to see how he was doing. I was happy and shocked to hear about that. On Friday the 26th… I called in to see how my Dad was doing, he was in a good mood and full of jokes. He had just finished doing his walk around the hospital floor and taking a breather. They wanted him to to try and use the bathroom, that’s where he joked about making camp in there because getting up and down was hard haha. I had Lilly and Jackson (My Hobbits) with me at this time and they wanted to talk with him and see how he was doing. Because they were so worried about him before. I think they talked with him for almost 30-40 minutes haha, Lilly and my Dad were making to plans to see each other and Disneyland. Jackson and him were talking video games, movies and Jackson’s time at Comic Con. It was that point Carly told me that my Dad had passed away………. Grabbing my stuff and trying to walk to the car. At this point things were a blur. I really don’t remember much, I know I just broke down. I remember feeling of being lost and not knowing what to do. The man I always went to talk to about things, get advice. Was no longer there. My Father, my best friend, my hero was no longer there…. I know as the day went on, I knew people were talking with me and messaging me. But I really don’t remember any of it. Everyone was telling me how sorry they are to hear the passing of my Dad or share stories.. But what can I say to them. “Thank you” seems like a cheap reply.. But sadly that’s all I could get out. I really to don’t remember talking to many of my friends/family about this. I know after the next few days Carly and I were able to make our way down to California to help with everything and give my Dad the send off he needed. I grateful for our friends Kevin and Shaun that help Carly and I make the trip down there. With out them, I don’t think any of that would have been possible. So we made our trip down to Ventura CA. I wanted to drive down. I knew I had to drive down. I didn’t want to fly. I wanted to do one last ride down to California. Why you ask? As a kid every summer my Dad would drive up to Oregon and pick me up after the school year was done. We did this for years and years. Every time was different from the last, never knowing who you’d meet on the road or what problems would happen. There are so many great stories that happen to us while drive back and forth. I really just need to drive down and remember everything. Remember him. I wanted to share these stories & places that I talked so much with Carly. Writing this is beyond hard for me now.. I started this on the 15th of March and it’s now the 20th. I’m just trying to push through this and open up with everything inside. Once we were in Ventura CA. all of my childhood friends were there. Friends I haven’t seen in years and thought we would never talk again. We were together again and picked up right where we left off. It’s weird tho. In a odd way I like to think it was my Father made all this possible. He knew that there were problems in the past with us. He knew I wanted to fix things and get back together with them all. He did it. Some how he did. I just wish my Dad was here to see it, because he helped raise all of us as kids. When it was time to do the service. 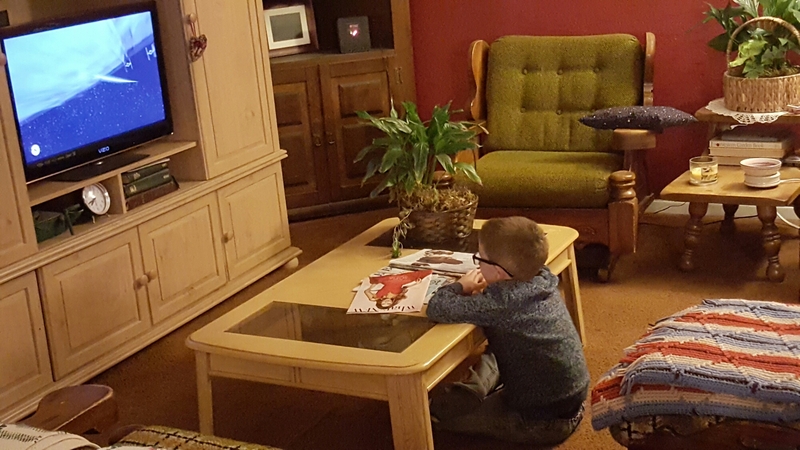 We walked in and to my far right I could see him there…. I had to leave… Only for a moment.. It took me awhile to build up strength to finally look at him… It was my Dad, but it wasn’t. It was this shell of what he use to be. His light was now gone from this world and I’m having trouble trying to my way. I will miss him so much and everything he stood for. Right now I’m still having trouble making my way through life with out him being there. If I have a question about something or just need a little nugget of knowledge I would start to dial his number. Then realize that he isn’t here anymore. 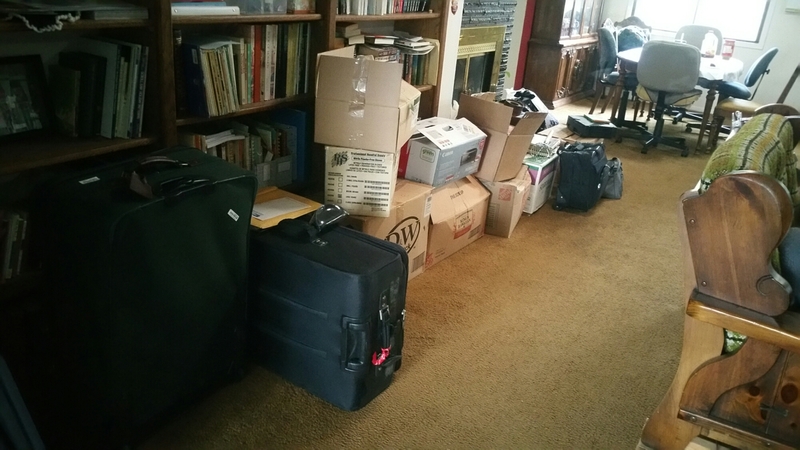 At the end of the trip I find myself with boxes and boxes of family history that he had saved and put together. Not just current family, but family going back four or five generations! So I’ve made it a mission to put all this together and finish want he had started. There is some many thing I didn’t even know about my family. I’m going to end this post here.. I’m sure I’ll write about this again at some point. But I just don’t have the energy in me at the moment. Thank you all for reading and understanding on why I had to back away from so many things lately. A couple of days ago, we just got back from California. It wasn’t a planned trip or a joyful one… We had to go down due to the passing of my father…. I’ve been wanting to write about for awhile. But we came back with more stuff than we left with. 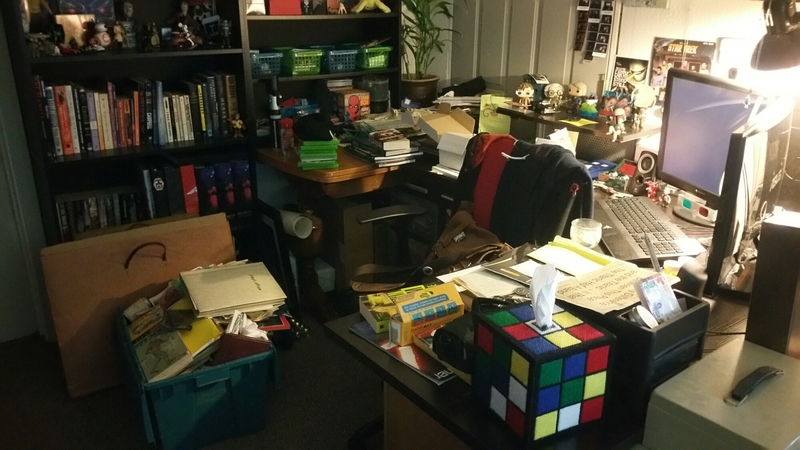 As you can see my desk is covered and the row of boxes in the living room. This is a mix of my Dad’s things and my Grandpa’s. I started to go through some of it and found so much family history. Things I didn’t know they had. It’s hard… I miss him. Find myself wanting to call my Dad and ask questions or memories/jokes that won’t happen again. So once I’m done going through everything and able to get to my desk. I plan on writing about everything and who my father was.